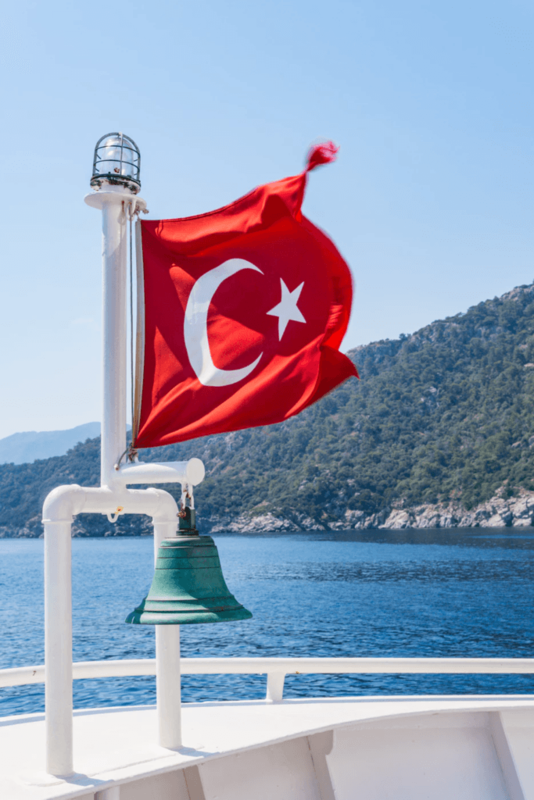 Marmaris – Your Next Turkish Adventure? Posted on August 2, 2018 by Andy Higgs in Home. Turkey is a great holiday destination for tourists and, with a long coastline of beaches, there is plenty to do for families as well as groups of friends. While there are a few popular areas, Marmaris is certainly one of the best as it offers bars and cafes all the way along the coast as well as fantastic views of the mountains it sits between. Antalya may be one of the top spots in Turkey, but Marmaris is rapidly gaining popularity. The temperature in Marmaris may be too hot for many people reaching the mid to high 30s through the summer, if not the low 40s in some recent years. However, if a holiday of bright sunshine spent mostly outside is for you, then this is the place to be. And, if you are a bit on the hot side, you can always go for a swim in the Mediterranean or even go to the local water park! To visit Turkey, you will require visas for all the family. This is a standard practice and you can use turkey-visa-service to get the right documents online or just ask your travel agent to sort it out for you. If you are planning to take boat trips to neighboring Greek Islands, you may need to get a Schengen visa but this is usually arranged at the harbor. Mud is surprisingly good for your skin and, after a few days of long hot sun, you will sink into the bath and only be able to say, ‘ahh…’. The baths here are all well maintained and ideal for all the family to have a lot of fun. The mud allows you to lie back and float, supporting your weight nicely and you can easily roll around to get a full covering. When you have wallowed to your heart’s content, stand in the sun and let the mud dry. Then, once you have taken lots of statuesque pictures, you can choose one of the communal showers or line up for the hosepipe treatment. To be honest, the showers are not as effective, but equally, they are not as shocking as a fast blast of cold water- it’s really your choice! Once you are clean again, give the hot spring a try. The water smells a little sulfurous but this isn’t a problem at all once you are used to it. The reason for the smell is that the water is kept at around 39 degrees by the natural volcanic lava in the area. Admittedly, the pool is very small in comparison to the mud bath and the area is busy, but if you can get in there for a few minutes, it is worth the wait. If you are on an organized trip, you may also be able to see Turtle Island. This is the home of lots of Loggerhead Turtles who come here to breed and seeing them is quite a treat. There are a few tour organizers and your hotel will certainly be able to help. Marmaris Harbor is busy but offers plenty of bars and restaurants to choose from, all with views of the many boats and yachts that moor here. Just walking around the harbor with an ice cream is a lovely way to spend the evening. The lights make the harbor incredibly beautiful and sparkly – just what you want on holiday! If you fancy a boat trip, this is the place to come (obviously!). Here boat trips leave regularly, going to Greek Islands like Rhodes as well as around the surrounding bays. There are also a range of glass-bottomed boats which are ideal for exploring the wildlife below the waves without actually getting wet. This is a great activity for kids who will love to see all the brightly colored fish and corals that surround Turkey’s shoreline. This area is also ideal for getting in a bit of holiday shopping. Though much of the harbor front is made up of bars and restaurants taking in the views, the back streets are packed with all kinds of different shops from jewellery and handbags to supermarkets and trinkets. Even if you aren’t willing to spend all your holiday money at once, this is another lovely way to take in some of the atmosphere and explore the resort. Though the harbor is a great area for shopping and dining, if it is a beach holiday you really want, then this is the place to be. Marmaris has 6 miles of beaches and all are protected by the mountains that surround the bay. As Marmaris is on the Mediterranean sea, the waters are relatively calm and warm. The beaches are perfect for lying in the sun and many of the hotels in the area back straight onto the sand. However, even if you choose a hotel a little further into town, you will never be more than a short walk to the beach front. Urban Beach is right in the middle of the resort and there are all kinds of activities there too. Long Beach is right next door and continues a long way around the bay, with plenty of room to relax and play. If you fancy going a little further, there are a few other beaches nearby that you might like to try. Cleopatra Beach on Sedir Island is particularly well renowned for its golden sands and beautiful waters. Another popular beach is Orhaniye, Kiz Kumu Beach, where legend has it that a woman who was in love tried to cross the harbor by filling her skirts with sands in the hope of creating a path. Whether you want to lie back and relax or you are looking for lots of days trips and opportunities to explore, Marmaris should be high on your list for resorts in Turkey. This country has so much to offer and tourism is really picking up as hotels and resorts really work hard to bring in families and groups. If you have never been to Turkey before, now is your chance!